The Big Apple Pie at Kenny & Ziggy's. Photo by Paula Murphy. Articles on the best Texas pies typically don’t include those in Houston, instead focusing on the Hill Country, Austin and Dallas areas instead. It’s not without reason; those are the strongholds of German and Czech Texans who brought their love of filled pastries to the Lone Star State during the days of the Republic. However, Houston has wonderful pies. In other parts of Texas, the trinity of pecan, coconut meringue, and chocolate meringue tend to dominate. Elements that make for truly great renditions include scratchmade crust, high-quality ingredients, good (and hopefully creative) flavor combinations and fillings not dominated by high-fructose corn syrup or excessive thickeners. In the Bayou City’s multicultural food scene, though, pies can be unique, such as one described below that incorporates spices common in Indian cuisine. 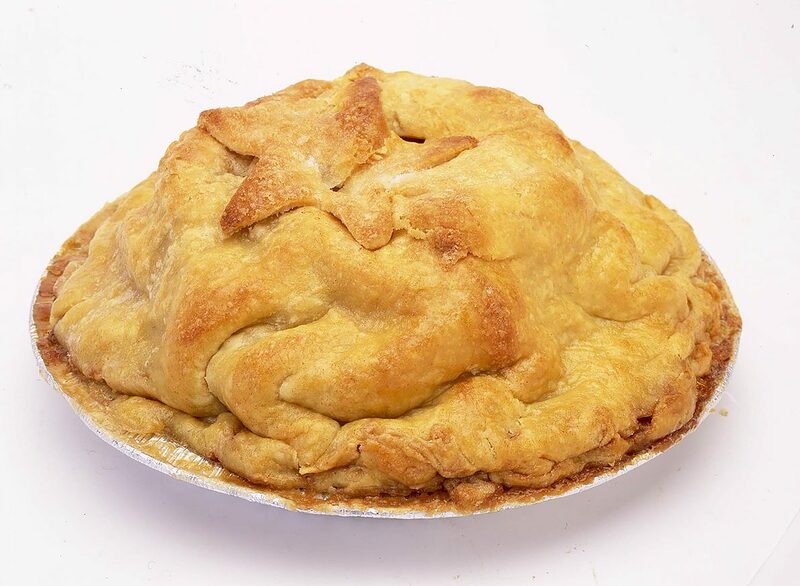 Watch for future lists of other best-in-class pies, including those from classic Houston restaurants, pies outside the 610 Loop, savory renditions and those for which it’s worth making a day trip. The elegantly layered banana cream pie at Goode Co. Seafood. Photo by Greg Buchold. 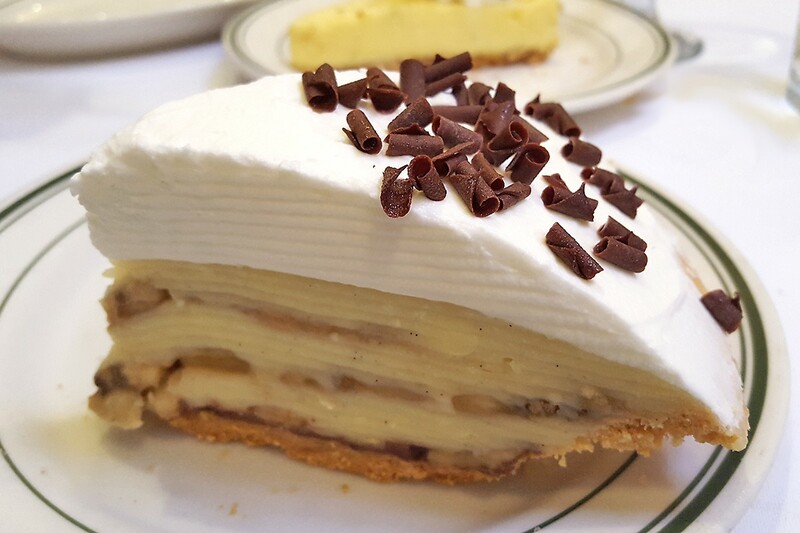 Banana Cream Pie, Goode Company Seafood, 2621 Westpark: While Goode Company Seafood is famous for their Brazos bottom pecan pie, its banana cream pie also has extra oomph that brings it over the top. Fresh bananas are inserted in layers into dark rum pastry cream and the pie is then topped with fresh sweetened whipped cream and chocolate curls. A thin layer of chocolate on the bottom of the crust keeps it from getting soggy. It’s an elegant take on the traditional. Chai Pie, Pondicheri Pie + Bake Lab, 2800 Kirby: At the Holi festival, participants throw colored powders at each other in spring to celebrate the triumph of good over evil. Well, this pie triumphs over a lot of insipid Midwestern cream pies by adding chai spices like cardamom, pepper, and cinnamon to a creamy gelatin base. Some might find this pie reminiscent of Thanksgiving. For those raised in an Indian home, the pie crust may tap more into childhood memories. That’s because it’s made with Parle G biscuits, a digestive biscuit given to many Indian infants when they are first introduced to solid food. The resulting crust is crispy and crunchy, like French mille-feuille . 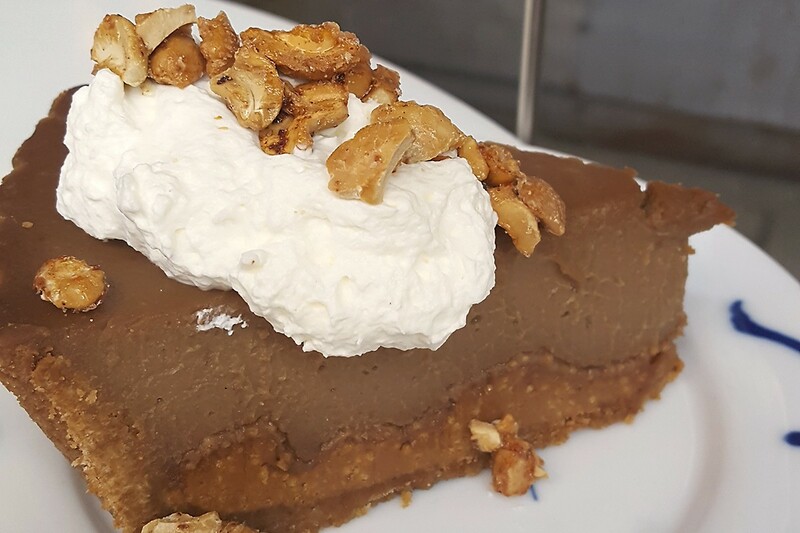 As a finishing touch, the Chai Pie is topped with fresh whipped cream and candied cashews. The chocolate creme pie at Revival Market. Photo by Greg Buchold. 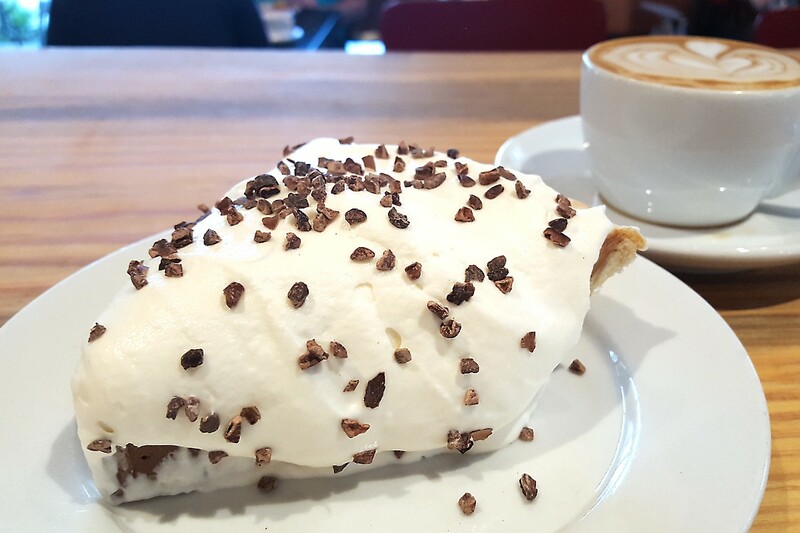 Chocolate Cream Pie, Revival Market, 550 Heights: The chocolate cream pie by pastry chef Andrea de Gortari is perfectly balanced. The chocolate is neither too sweet nor too bitter. The filling is also much denser than the typical chocolate cream pie, which usually has a mousse-like texture. It’s entirely covered in sweetened whipped cream and bittersweet chocolate crumbles are scattered over the top. The pastry crust shreds rather than flakes. When you want chocolate, you need this pie. Buttermilk and pecan pies are also offered for those who aren’t chocolate fans. Pastry chef Alyssa Dole departed Revival Market in November 2016, but her chocolate cream pie is still available for $6 in the market’s pastry case. Although no pie is on the menu at Pinkerton’s Barbecue you can enjoy her blueberry cobbler, banana cake, and Texas chocolate sheet cake at her current position. Updated 3/13/19, 2:00 p.m. The French Apple Pie at Brasil. Photo by Greg Buchold. French Apple Pie, Brasil, 2604 Dunlavy: Three pastry chefs tag-team on a rotating seasonal selection of fruit pies and cakes at Brasil. The quality is so high that it’s mystifying as to why these aren’t promoted on the restaurant’s website or social media. Just as one example, the apples in the French apple pie are crisp-tender and suspended in pastry cream laced with Mexican cinnamon inside a slightly chewy crust. Other pies include cherry and, in the summer, the get-it-before-it-disappears peach. Latticework on their cherry pie provides a light crunch that tops intense cherry compote. The cakes—such as chocolate lavender with edible flowers, strawberry basil, and lemon blackberry—are also very worthy. As described by Culture Map in April 2018 Café Brasil has hired a new executive chef German Mosquera. 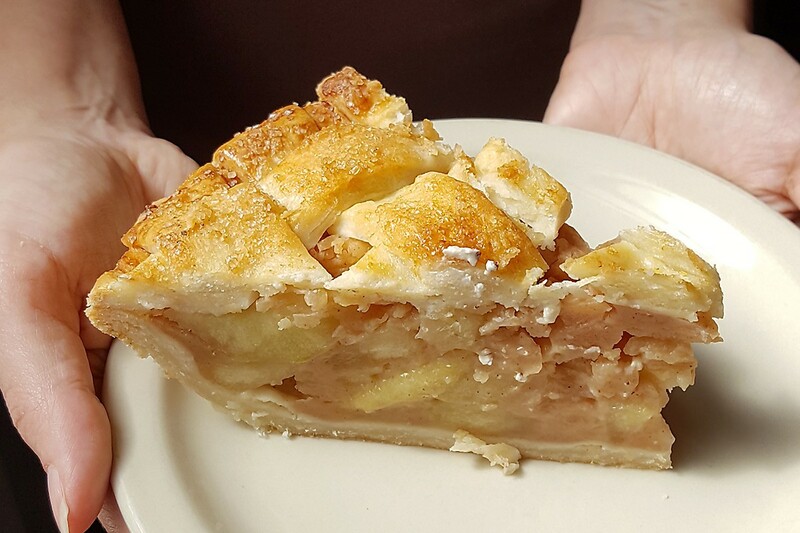 The current pies on his new dessert menu as of 3/13/19 were cherry, apple cardamom, and peach pie at $5 per slice. Updated 3/13/19, 2:00 p.m.
Peli Peli’s melktart. Photo by Luke Chang. Melktart, Peli Peli (multiple locations): Despite the longstanding presence of South African Leibman’s market on Memorial (which closed due to Hurricane Harvey but will soon reopen at 10100 Katy Freeway), it was only when Peli Peli opened did South African specialties like borewors sausages, bobotie, Durban bunny chow, bredie and kingclip hit most Houstonians’ radars. Among those specialties is the melktert (Africaans for “milk tart”). It’s a traditional dessert created by Dutch settlers to South Africa in the mid-1600s to use up abundant quantities of milk from Dutch dairy farmers. South Africans make a lot of different versions of this tart, including chocolate versions. 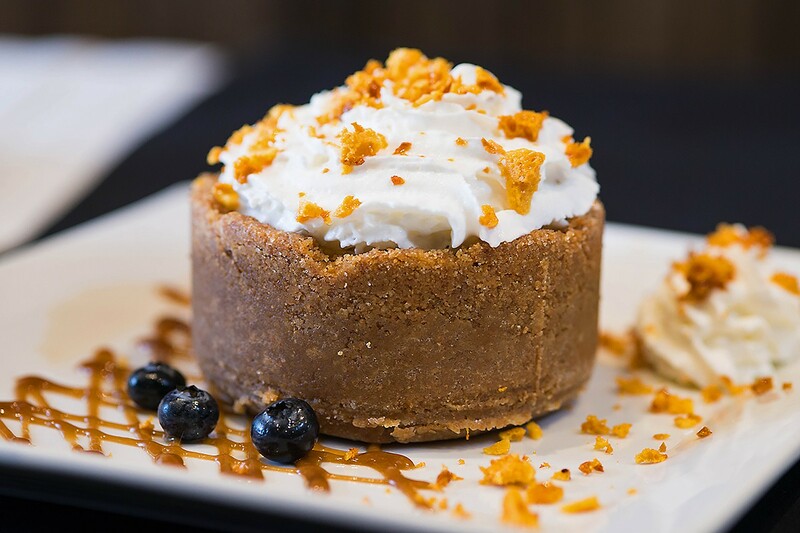 However, Peli Peli chef Paul Friedman chose to keep the traditional filling, only adding a graham cracker crust to appeal to Americans’ familiarity with cheesecake. The melktert filling doesn’t use the vast number of eggs that most custards do (which also allows the milky flavor to come through). The resulting lighter texture is more like panna cotta, which is thickened with cornstarch. Send us more pie recommendations! Include them in the comments section below and we’ll consider trying them for a future article! Greg Buchold is a co-moderator of Houston Chowhounds, a Houston Food Blogger Collective member and Google Local Guide. Follow his musings on all things pie on his blog The Pie-Biting Frog or follow him on Instagram (#Houston_Pie_Project). Editor’s note: Article updated 3/14/18, 11:03 a.m. to reflect that the cherry pie previously mentioned is no longer available at Lee’s Fried Chicken & Donuts and State Fare. I’ve always been partial to the Scottish Apple Pie at the Black Lab, but I’ll have to give Brazil’s French Apple Pie a try. Thanks for your comment. I will give the Scottish Apple pie a try.